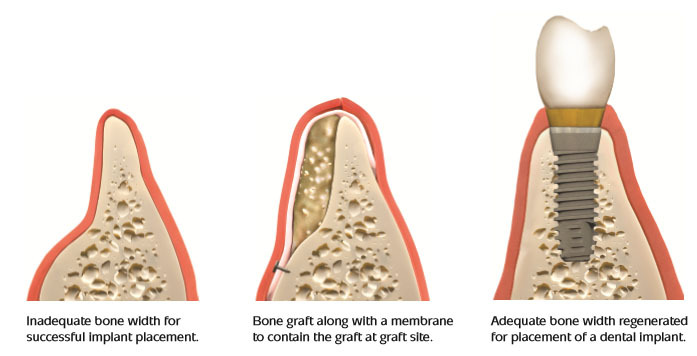 Bone grafting is a surgical procedure used to fix problems with bones or joints. Bone grafting, or transplanting of bone tissue, is beneficial in fixing bones that are damaged from trauma, or problem joints. It’s also useful for growing bone around an implanted device, such as a total knee replacement. A bone graft may fill a void where bone is absent or help provide structural stability. The bone used in a bone graft can come from your body, a donor, or it can be entirely man-made. The bone graft can provide a framework where new, living bone can grow if it’s accepted by the body. An allograft uses bone from a deceased donor or a cadaver that has been cleaned and stored in a tissue bank. An autograft comes from a bone inside your body, such as your ribs, hips, pelvis, or wrist. The type of graft used depends on the type of injury your surgeon will be repairing. Allografts are commonly used in hip, knee, or long bone reconstruction. Long bones include arms and legs. The advantages are there’s no additional surgery needed to acquire the bone. It also lowers your risk of infection since additional incisions or surgery aren’t required. A bone graft may be used in the case of multiple or complex fractures or those that don’t heal well after initial treatment. Fusion helps two bones heal together across a diseased joint. Fusion is most often done on the spine. Regeneration is used for bone lost to disease, infection, or injury. This can involve using small amounts of bone in bone cavities or large sections of bones. Ask your doctor about these risks and what you can do to minimize them. Your doctor will perform a complete medical history and physical examination before your surgery. Make sure you tell your doctor about any medications, over-the-counter drugs, or supplements you’re taking. You’ll most likely be required to fast before surgery. This is done to prevent complications while you’re under anesthesia. Your doctor will give you complete instructions about what do to the days before and the day of your surgery. It’s important to follow those instructions. Your doctor will decide which type of bone graft will be used before your surgery. You’ll be given general anesthesia, which will put you into a deep, peaceful sleep. An anesthesiologist will monitor the anesthesia and your recovery. Once the graft is securely in place, your surgeon will close the incision or wound with stitches and bandage the wound. A cast or splint may be used to support the bone while it heals. Many times, no casting or splint is necessary. Recovery from bone grafts depends on the size of the graft and other variables. Typical recovery can take anywhere from two weeks to more than a year. You’ll probably need to avoid vigorous physical activity for as long as your surgeon suggests. Apply ice and elevate your arm or leg after surgery. This is extremely important. It can help prevent swelling, which causes pain and can cause blood clots in your leg. As a general rule, keep your arm or leg above the level of your heart. Even if your injury is in a cast, putting ice bags over the cast may help. During your recovery, you should exercise the muscle groups that weren’t affected by the surgery. This will help keep your body in good shape. You should also maintain a healthy diet, which will aid in the recovery process. One of the best things you can do is quit smoking. This will improve the health of your body after surgery and beyond. Smoking slows the healing and growth of bone. Research has shown that bone grafts fail at a higher rate with smokers. Some surgeons refuse to do elective bone grafting procedures on those who smoke.